I got 4 shades from the range, Minnie Mauve, Little Bo Peach, Berry Boop and Cherry Jane. and today’s review is on “Little Bo Peach”. This was the first color from the range that caught my attention. It looked so pretty and so lovely. “Little Bo Peach” is a soft peachy lipstick that is timelessly lovely and universally flattering. 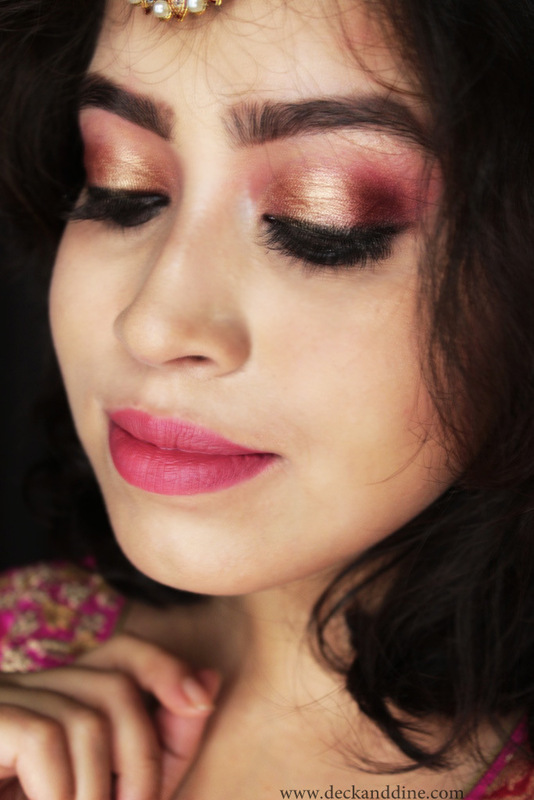 Very wearable and will complement both subtle and dramatic makeup looks. The texture is equally beautiful. Soft, smooth and applies evenly without tugging and pulling. 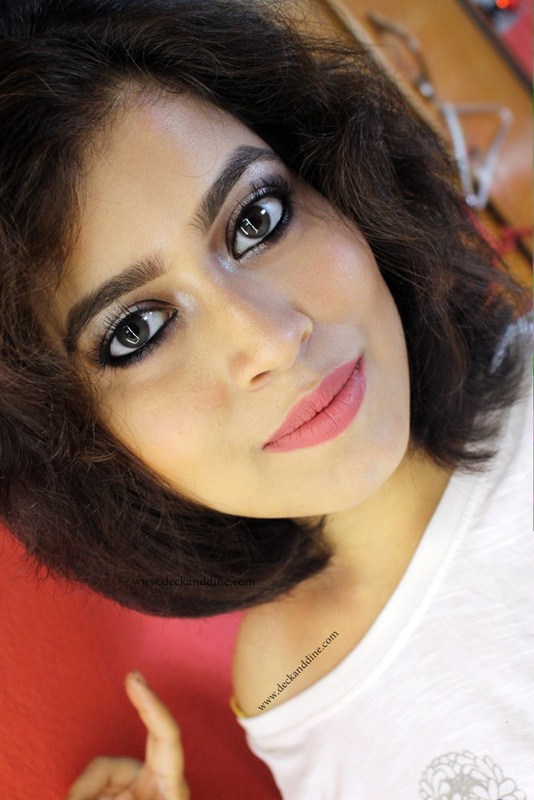 It settles in a beautiful velvety matte finish which I completely adore; one of the most comfortable matte formulas I have come across. It is perfectly moisturizing and keeps lips soft for hours. Just keep in mind that exfoliation and moisturization of lips is required prior application, otherwise it can highlight dry patches. Insanely pigmented and one swipe is enough to cover your lips. It stayed on me for 8+ hours, after which it started fading. 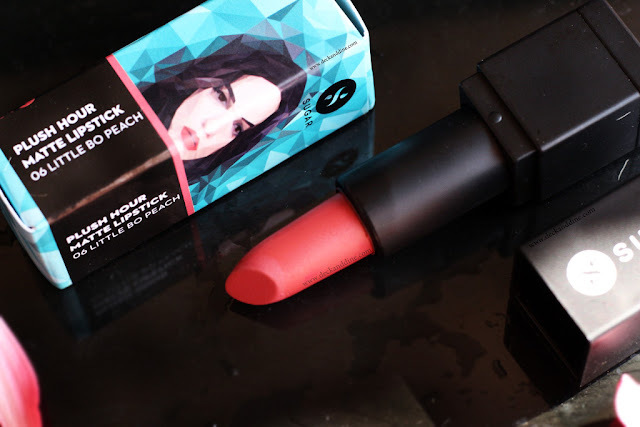 This is a very pretty color which can flatter on a lot of skin tones and would look great with both heavy and subtle makeup, crazily pigmented, glides on and sets into a striking polished matte finish without leaving lips parched, stays super long and just 499 INR. This is AMAZING… !!! 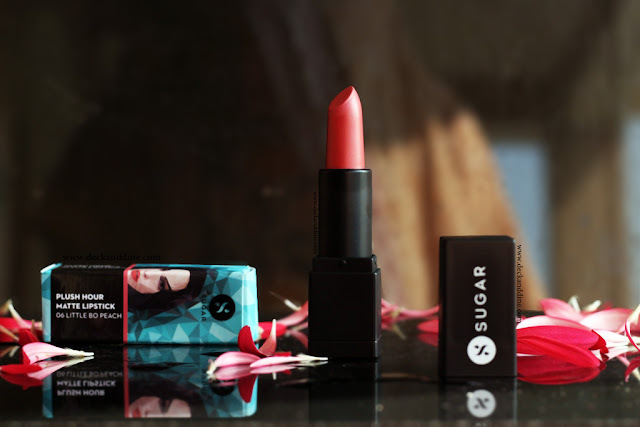 Have you tried Sugar Cosmetics Plush Hour Matte Lipstick Little Bo Peach? Or any other shade from the range? If not, order NOW. . You won't be disappointed. Ohh I love the shade. It looks totally gorgeous on you. thats a very pretty color...I love the pictures and this color look stunning on you! That color looks really nice on you! 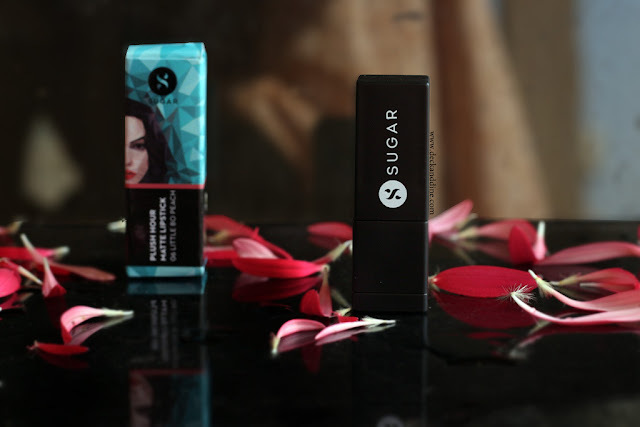 I've never tried any products from Sugar Cosmetics before although I love this colour and need to check it out! That's a gorgeous shade! I've never heard of the brand before. This is a great shade for you. It's a color I could happily wear. I don't recall using anything from this brand, but that lippy color is your shade girl. It's gorgeous. that is a lovely rose color. I have never heard of the brand, but I'll keep an eye out. That's a beautiful color! It looks fantastic on you. Wow that looks great! Sounds like some impressive staying power! That shade is gorgeous on you. I haven’t heard of this brand but it’s really gorgeous! Gorgeous photos AND that look with the green eye? Holy wow, absolutely stunning. I love that lip color, too! It looks amazing on you! I have to check out Minnie Mauve - I'm all about dusty rose/subtle mauve lippies! This lipstick shade looks absolutely stunning on you babe.